This primary resource introduces children to the problems facing tigers in the wild. Discover the features of the tiger that make it unique, and why this animal is threatened in the wild. What do tigers have on the backs of their ears? What do they use their claws for? What percentage of tigers’ original range is left? 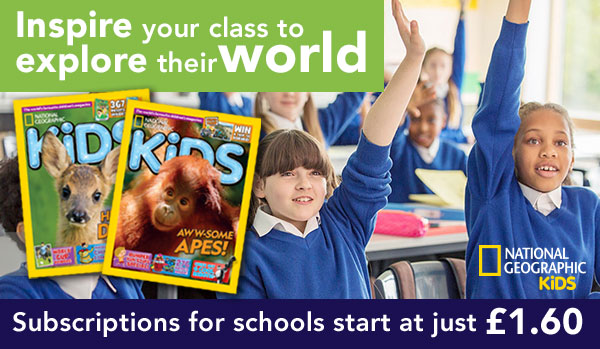 Pupils will learn about what is being done to help save the tiger in our National Geographic Kids’ Science primary resource sheet. The teaching resource can be used in study group tasks for discussion about camouflage, adaption, predator and prey, poaching and habitat loss. It could be used as a printed handout for each pupil to review and annotate, or for display on the interactive whiteboard for class discussion. Activity: Ask children to create their own Top Trump cards of the different tiger species listed in the ‘Types of tiger’ circle on the resource. They could use the facts provided and their own research to help them. Pupils could compare the general tiger information in this resource sheet with the specific facts about Siberian tigers in our Endangered Tiger: Science primary resourceand that of tigers found in the rainforest, using Rainforests of life: Geography resource.Children could draw and label their own pictures of tigers using the information in the resource sheet, or they could use the information provided to draw or paint a picture of a tiger in its natural environment.